Do you work in NSW government? Does your organisation tweet? Have a Facebook page? Use Yammer? Collaborate over a wiki? Or post videos to You Tube? If so we would love to hear from you! If your NSW public office uses social media to raise its profile, communicate directly with the public and/or collaborate on a range of business issues, then we would love you to fill out our brief survey on social media and recordkeeping. what recordkeeping strategies are necessary or feasible. We also want to know if your NSW government organisation does not use social media – all information on how social media is being used or not used across government is of interest to us. 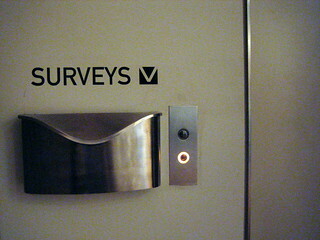 We will do a follow-up blog post soon to report on the survey results. We have compiled the survey because we want to develop an online training course on social media recordkeeping, and the data from the survey will hopefully help us to make this relevant to the needs of the NSW public sector. Your feedback will also help us to recommend some specific recordkeeping strategies that will work with both the social media tools that are being used in NSW government and the business needs that are driving these different forms of social media use. So if you work for the NSW public sector, we would really love to hear your views! The survey closes on Friday 11 May. We are very much looking forward to the results of this study and see how it will influence our project at http://www.wei.to Given with the latest guidelines from Victoria we believe this is a big topic in the making and most agencies haven’t yet properly dealt with it.